The Spokane Tribe will proceed with the construction of their gaming facility regardless of the impending court cases. The tribe has maintained that no matter what, they will carry on the construction of their $400 million gaming casino as scheduled. Although the casino development announcement made in earlier 2006, the Spokane Tribe say that completion of the multi-million gaming project will take almost ten years. The America Native tribe’s spokeswoman Carol Evans said early this week that the tribe is unshaken and that as a tribe, they will fight for their right to have their casino completed finally. On the first lawsuit, this is likely to halt the construction of the casino by the tribal group; three county commissioners met on Tuesday where they all agreed in one accord to write the federal government. Their aim is to sue the Interior Department to express their dissatisfaction over the proposed casino construction in Airway Heights, which is barely 9 miles from what they call the second largest town in the State of Washington. The second lawsuit, which the Spokane Tribe says is no longer a threat to their casino construction bid is from another American Native tribe, the Kalispel Tribe. The Kalispel Tribe is the lone operator and owner of the Northern Quest Resort, which is roughly 2 miles away from where the Spokane Tribe are currently established their gaming facility. In the tribal group’s filing made before the Federal Court, the Kalispel Tribe made it clear that if the Spokane Tribe is allowed to continue with the casino construction as proposed. Finally, the facility opened top the public; the Kalispel tribe will not be able to service the people’s government operations as required by law. On its part, the Spokane Tribe through its chairwoman says the group will not halt any construction plans because the tribe has followed all the necessary steps in the casino development. The chairwoman stated that she had been saddened by the rival groups. “It is sad that the other tribe has gone to court to try and stop a construction that is legit. We are doing our work, and all we care about are our people. I wonder how a business that is done in our land will affect those on the other side,” Carol wondered. In showing that they are acting according to their words, the Spokane Tribe conducted a job fair on Wednesday with the aim of beginning to hire the more than 5, 000 casino employees once the project is complete. 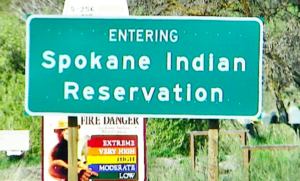 The proposed Spokane Tribal Casino will have among other things a hotel, which will have 300 rooms, convention facilities, fire stations, and a police post, retail space that will accommodate malls and various stalls, spa, a tribal cultural center; bars, and several restaurants among other social amenities. During the construction announcement in 2006, as part of the STEP, the management promised that the project would not in any way adversely affect the surrounding community. The Spokane Tribe will proceed with the construction of their gaming facility regardless of the impending court cases. Washington Casinos.